Stitch at 1937 N. Damen Ave. is closing. BUCKTOWN — Independently-owned home furnishings and accessories boutique Stitch will close on Dec. 24 or sooner if everything gets sold before then, owner Pamela Hewett announced Wednesday. “I’ve had a wonderful run these past two decades, thanks to my amazing clients and talented vendors. I owe my success to so many. I have traveled the world, met thousands of designers and craftsmen, and have made connections with millions of customers. I certainly would not have stayed in business as long as I did without the love and support of our loyal STITCH following. It has been an honor to do business with all of them," Hewett said in a written statement. Now at 1937 N. Damen Ave., Stitch opened on Dec. 1, 1998, at 1723 N. Damen Ave.
Long considered a destination shop in the Wicker Park/Bucktown neighborhoods and one of the early lifestyle stores in the area, Stich carries modern home furnishings and accessories for men and women. It was one of the first boutiques to open on a now-booming stretch of Damen packed with national chains and apparel stores. In 2014, Hewett moved Stitch to 1937 N. Damen. 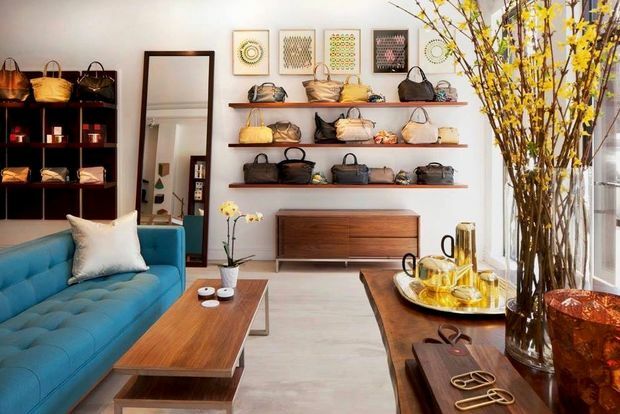 On any given day, shoppers at Stitch can find leather handbags and wallets, unique housewares and hand-crafted jewelry from emerging designers. Some of Stitch's bestselling lines through the years have been GUS* Modern Furniture, Missoni Home, Tom Dixon, Liebeskind Berlin, Rebecca Minkoff, Menu and Knomo. The store received numerous national accolades including being part of “Chicago’s 9 Best Gift Shops” in TimeOut Chicago and getting shoutouts in the Louis Vuitton Chicago Gift Guide 2016, Fodor’s Travel Guide to Chicago and National Geographic Traveler, Hewett said. Hewett, who lives in West Town with her family, broke the news via email on Halloween to her customers and said she plans to stay in touch with her customer base via e-mail. "Creating this store, day in and day out with my co-workers, has truly been my pleasure. Thank you so much," Hewett said, thanking her regular shoppers and staff. Hewett recently became a mother and said she plans to raise her 15-month-old son with her wife and explore new creative opportunities after the store (and its website) closes for good sometime between Nov. 30 and Dec. 24, or sooner if everything is sold. Since Hewett owns Stitch's storefront just south of the Damen and Armitage avenues intersection, she is looking to lease or sell it. All merchandise — including the store's custom mahogany display cases, copper-wrapped counter and leather fixtures and mannequins — will go on sale starting Wednesday.